Rediff.com » Movies » Oscars 2015: The BIG Winners! Oscars 2015: The BIG Winners! 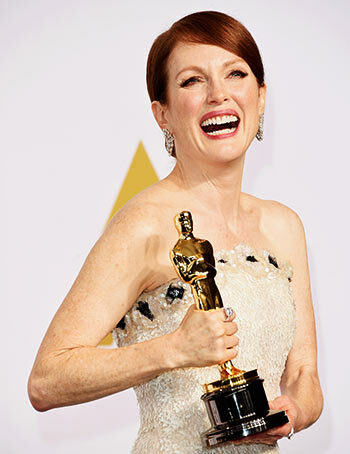 The 87th Annual Academy Awards mostly went to the usual suspects but there were some surprises as well. Micheal Keaton lost the Best Actor win to Eddie Redmayne, who was brilliant as Stephen Hawking in The Theory Of Everything. Boyhood got only one win (Best Supporting Actress for Patricia Arquette) from its six nominations. Birdman was the big winner of the night, snagging all the top awards, including Best Director and Best Film. Here's a look at the top winners, at a glance. Do you think the Oscars went to the right people? WRITE IN! Click on the categories to see the winners. Take this Oscar Quiz NOW!